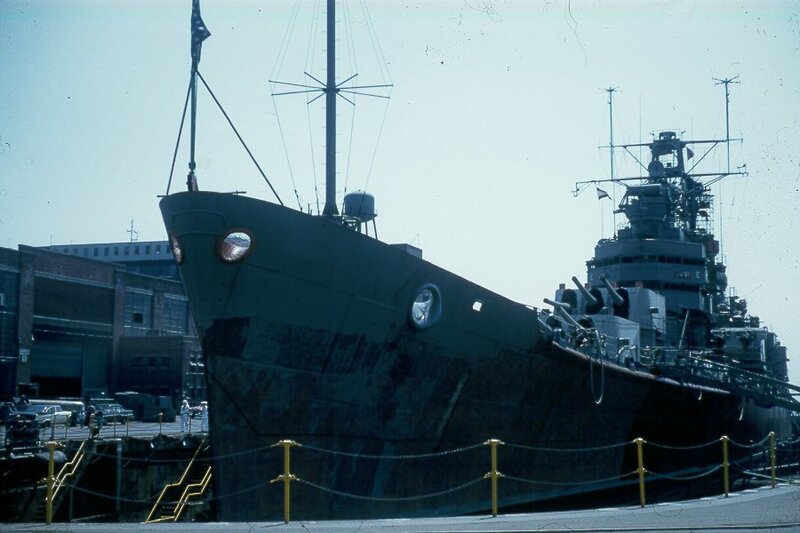 ↑The USS Fall River (CA-131) was one of the originally six Baltimore-class heavy cruisers selected for conversion to missile cruisers. 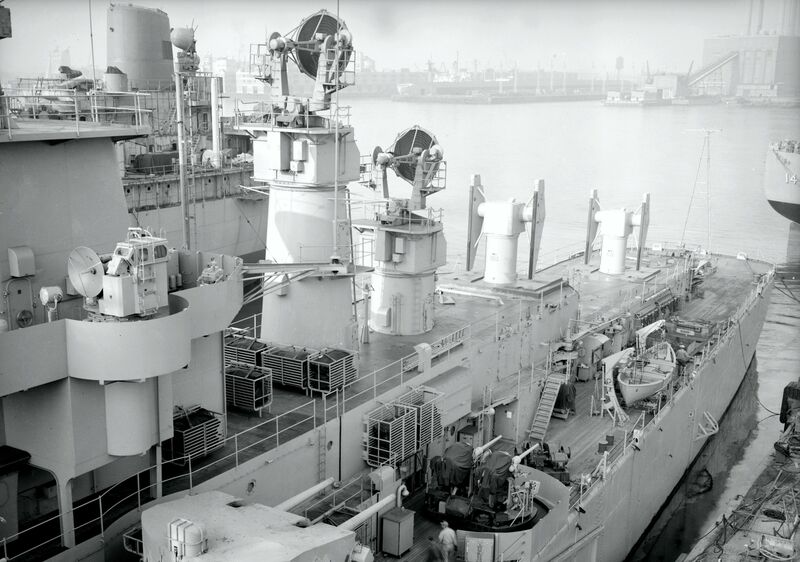 For some reason, the almost brand-new vessel, which had enjoyed only about two-and-a-half years of active service before being mothballed at the end of 1947, was ultimately rejected and the Chicago was selected instead. 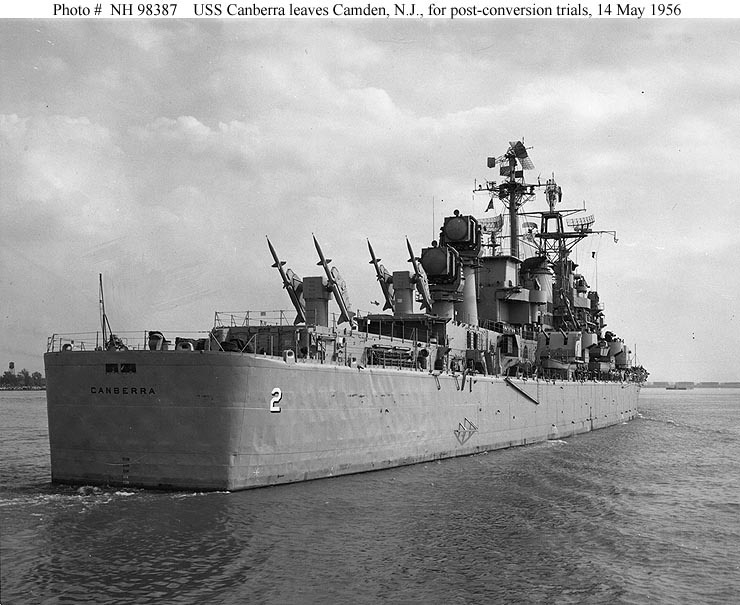 But, what if one of the many projects that the USN entertained but ultimately had to abandon due to fiscal constraints would have borne fruit: in 1955/56, the navy studied the feasibility of converting one or to Baltimores into a heavy cruiser equivalent of the Cleveland Talos conversions. 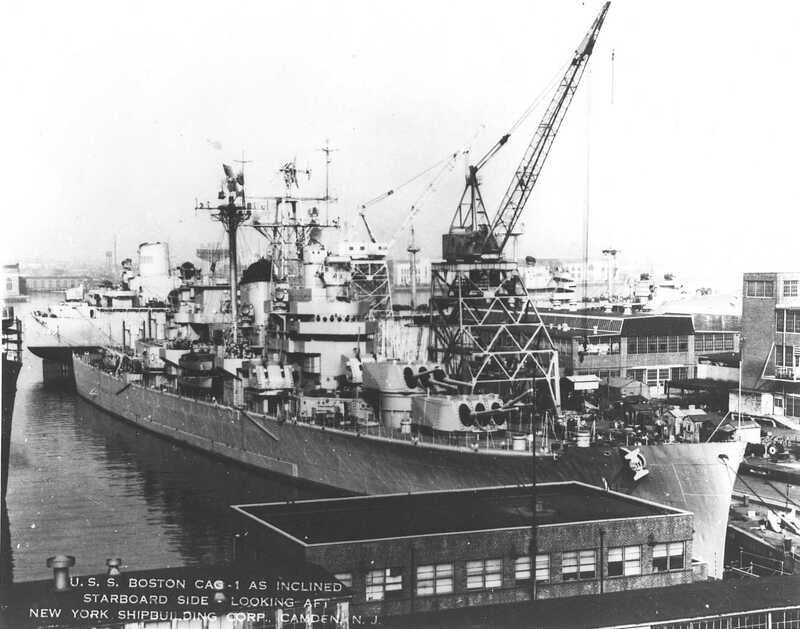 I selected the USS Fall River to represent this project and gave her the designation CAG-3, to pair her in with the previous missile cruisers Boston (CAG-1) and Canberra (CAG-2). 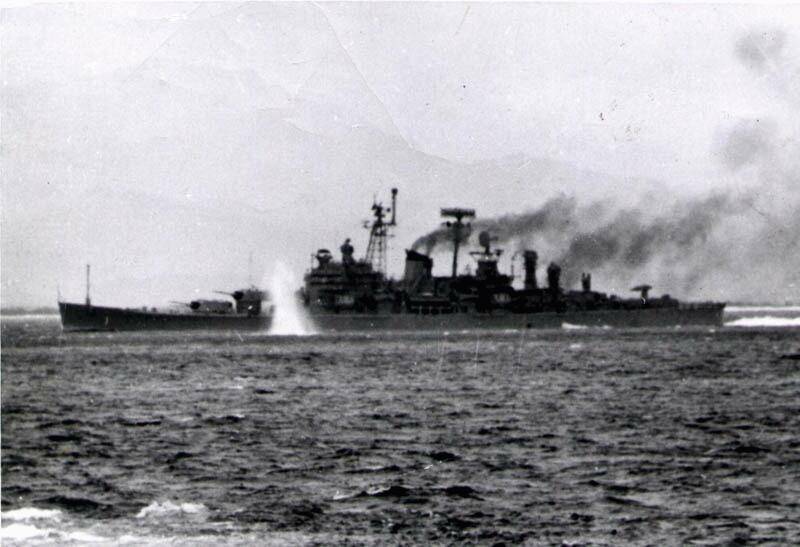 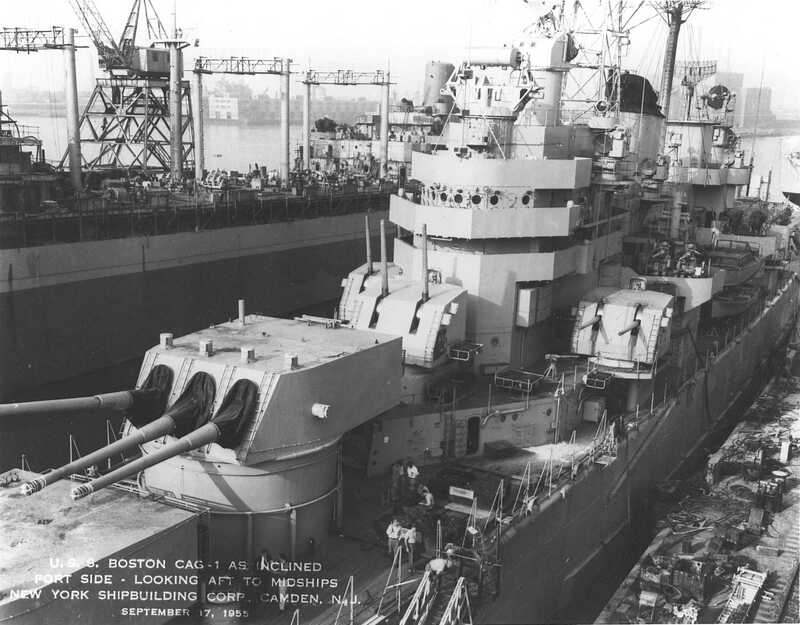 As such the Fall River retains her forward battery of six 8" guns, and has six 5" guns in three twin gun houses. 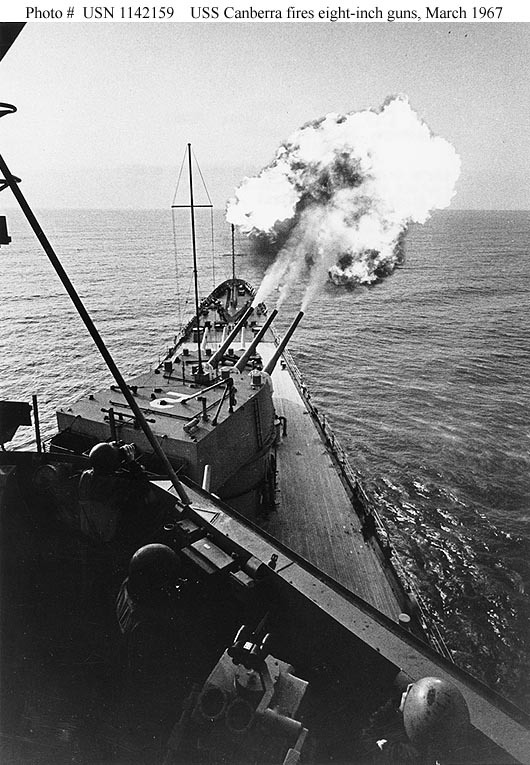 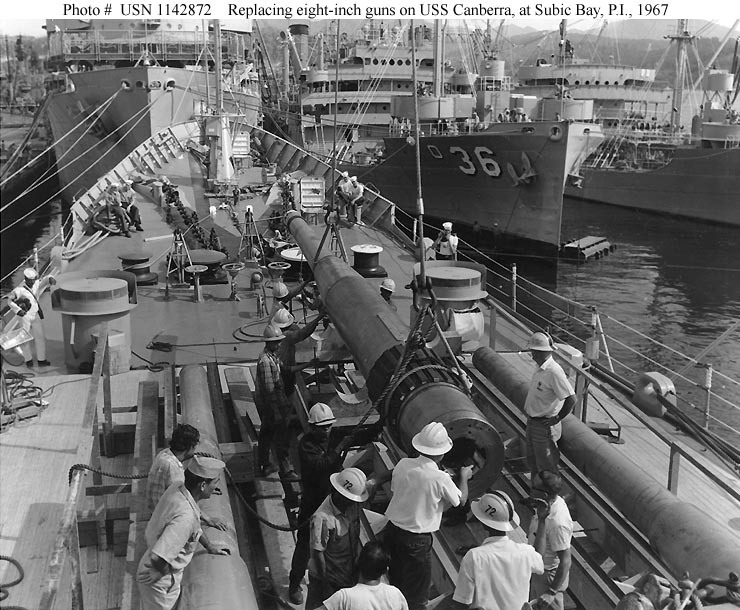 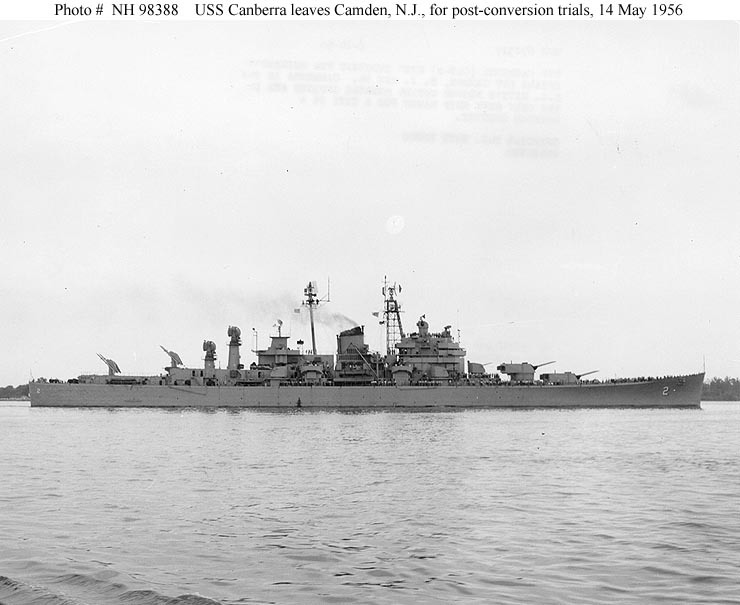 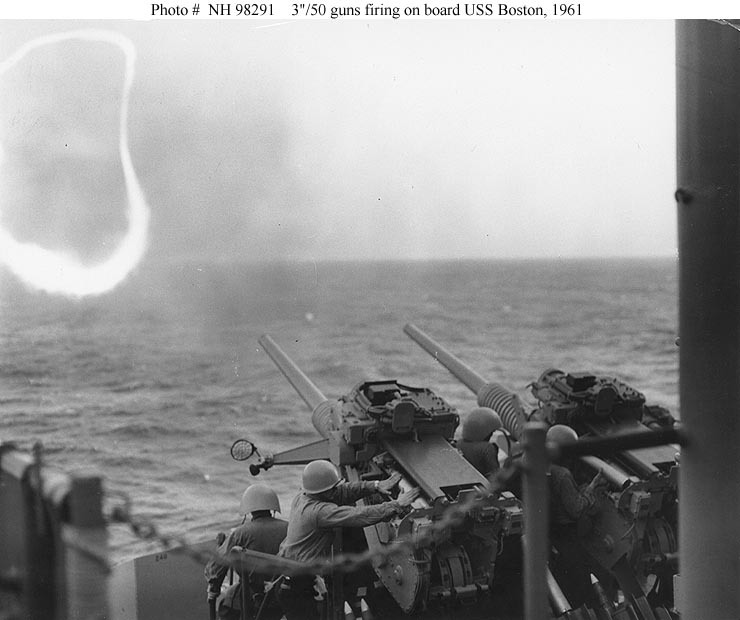 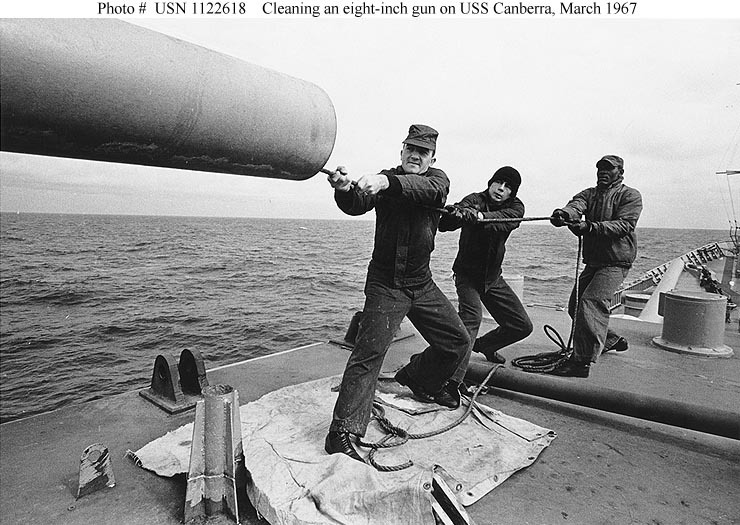 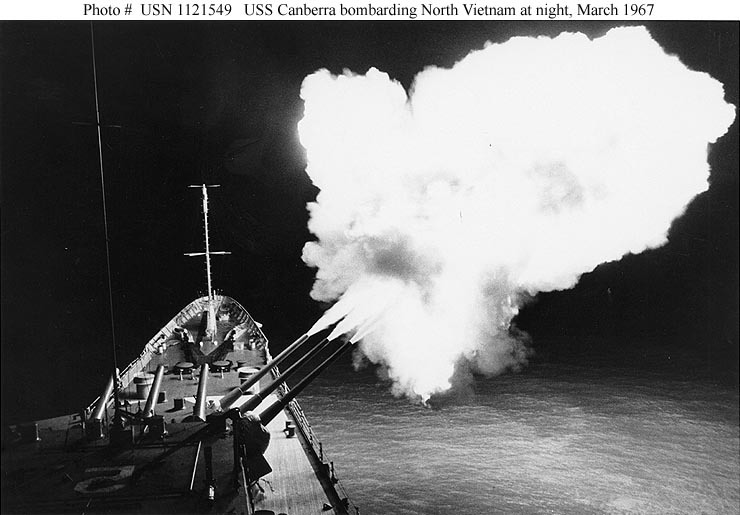 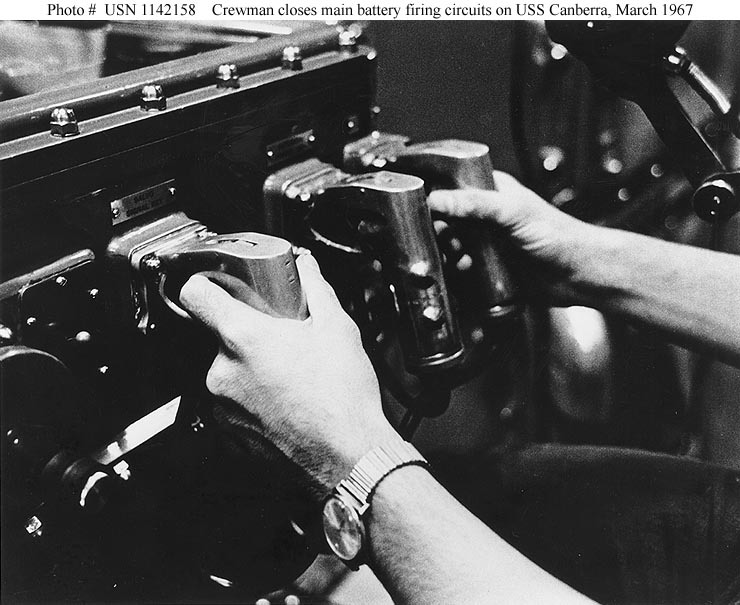 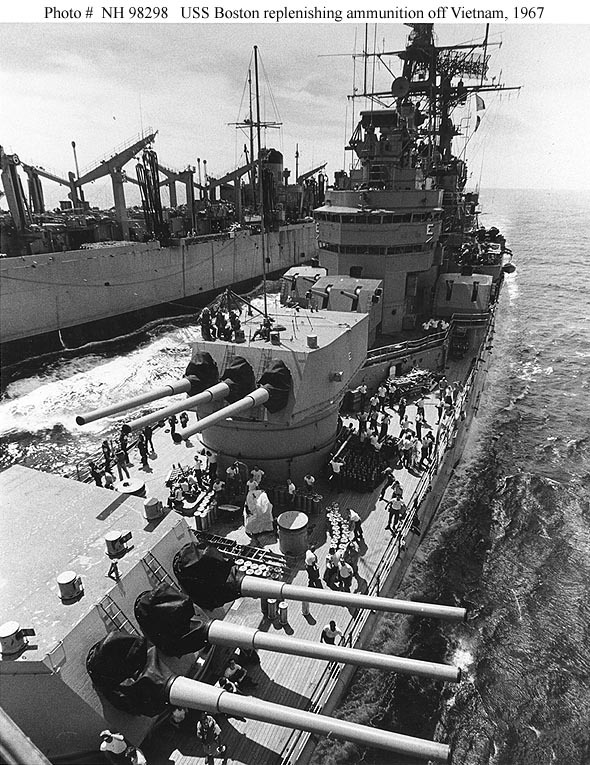 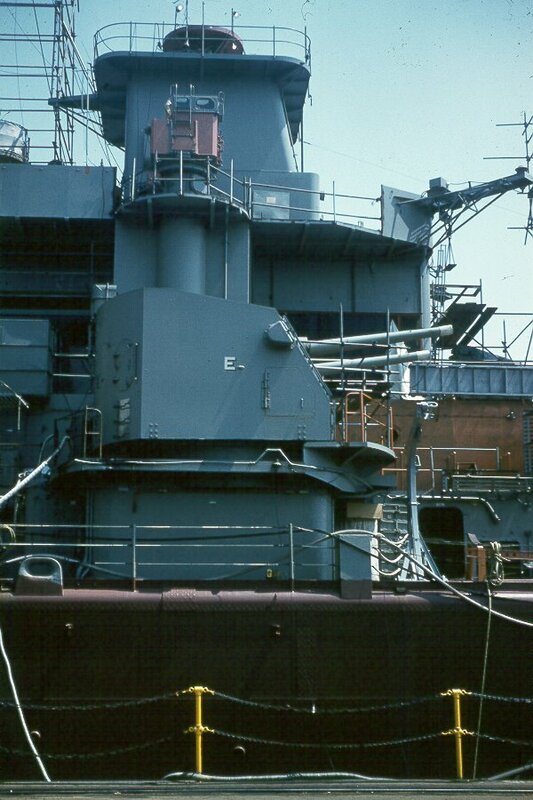 She also has eight 3" guns in four open twin mounts. 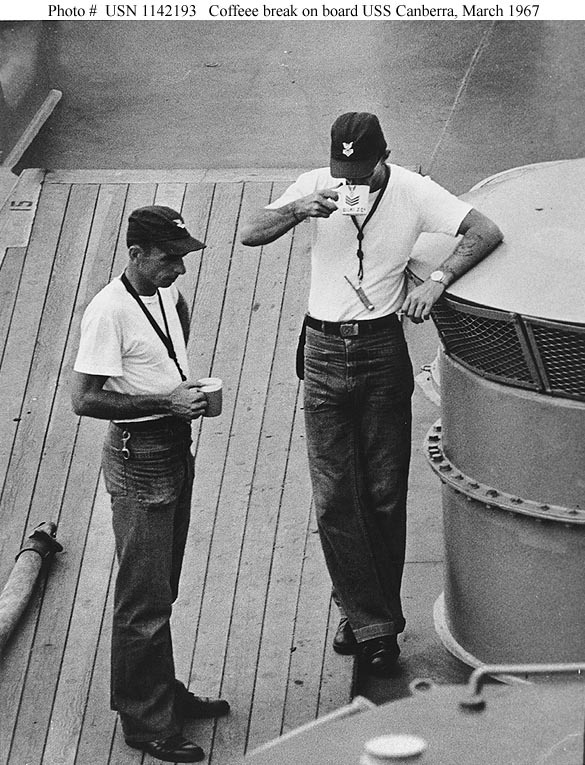 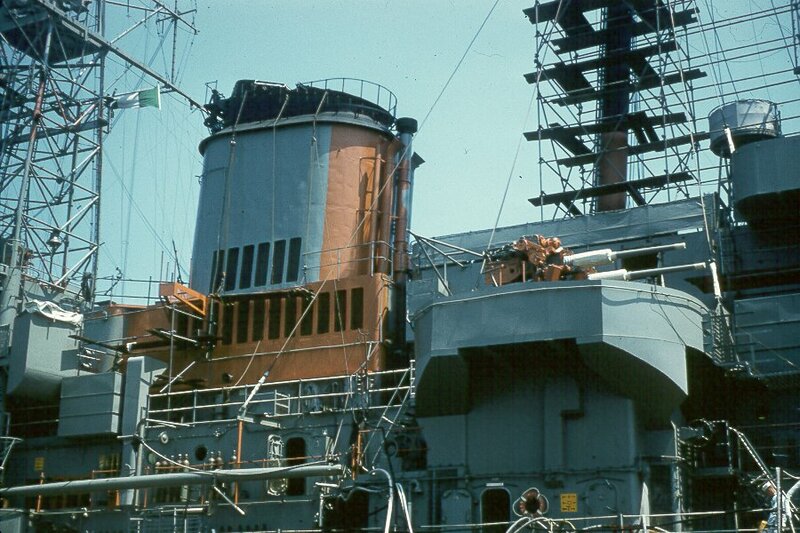 The whole aft section of the ship was rebuilt, resulting in a large, long and tall continuous deck-house with a ready room and a generous magazine beneath capable of storing 102 Talos long-range missiles. 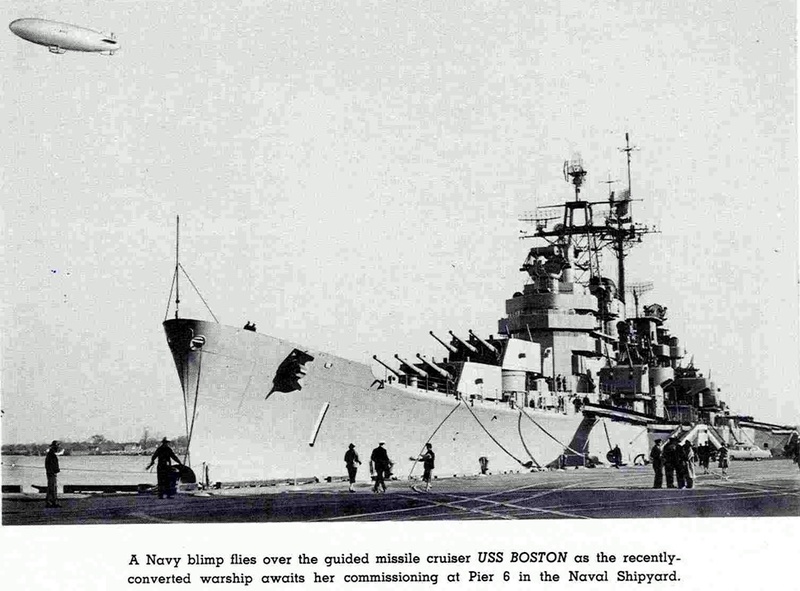 The conversion otherwise is even more austere in certain aspects than the Boston's; she retains her two slim funnels. 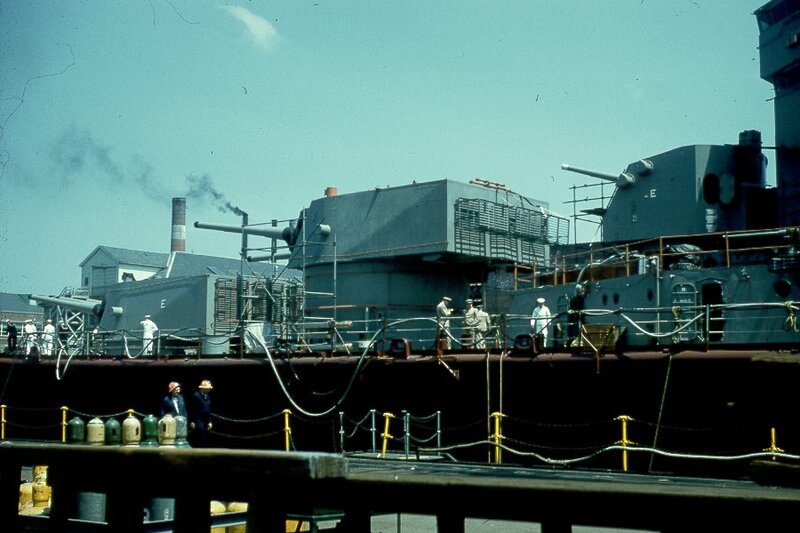 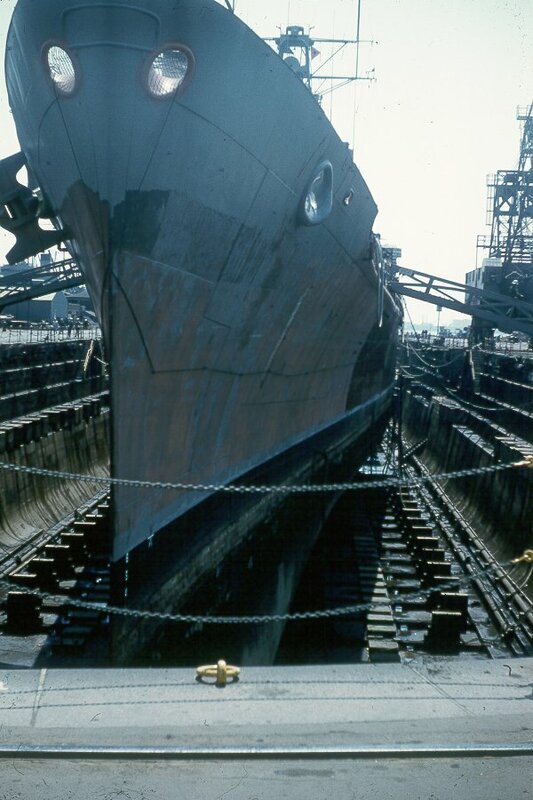 A new bridge, similar to the earlier CAGs allowed the ship to serve as flagship. 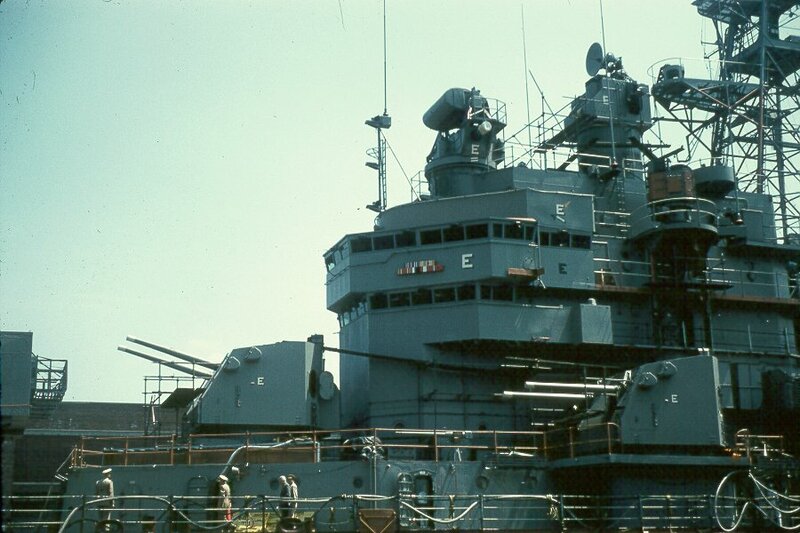 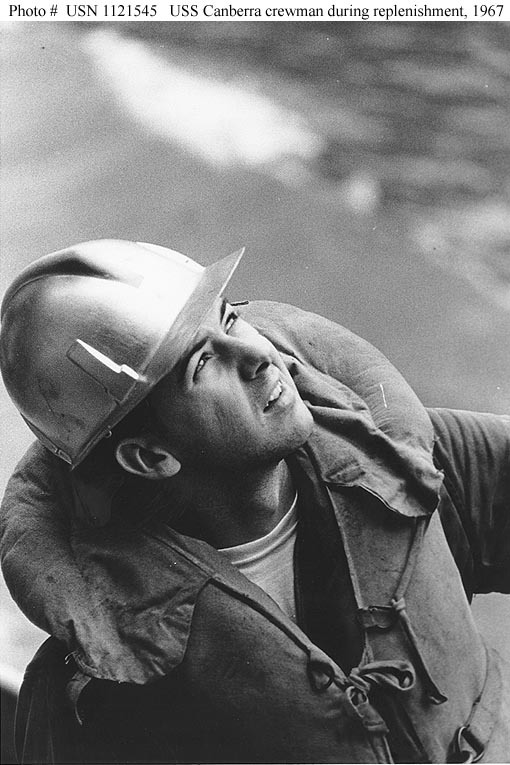 Image courtesy of Shipbucket. 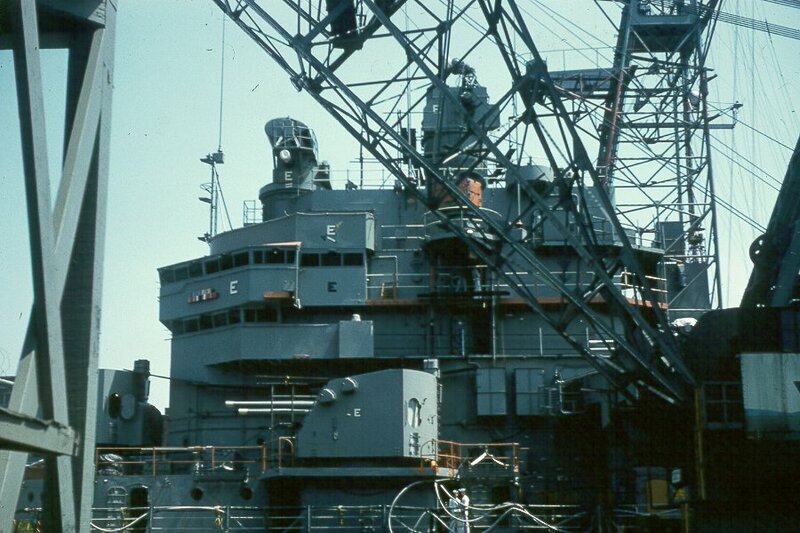 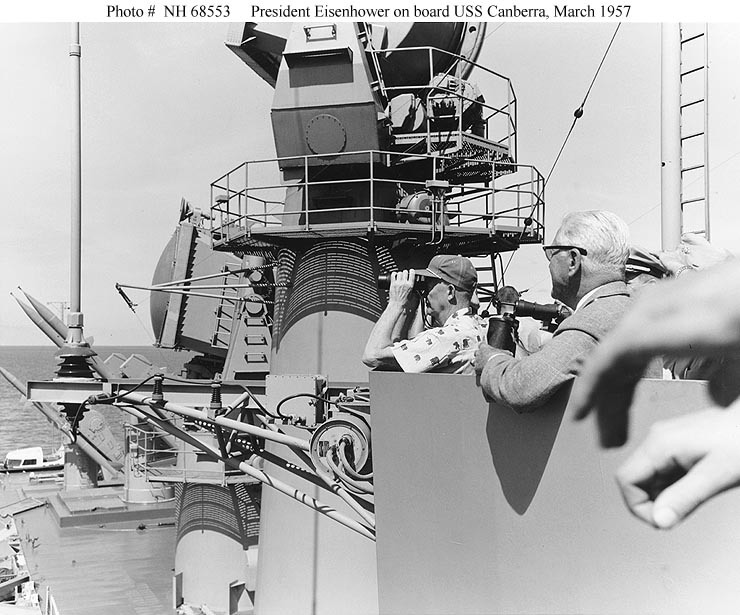 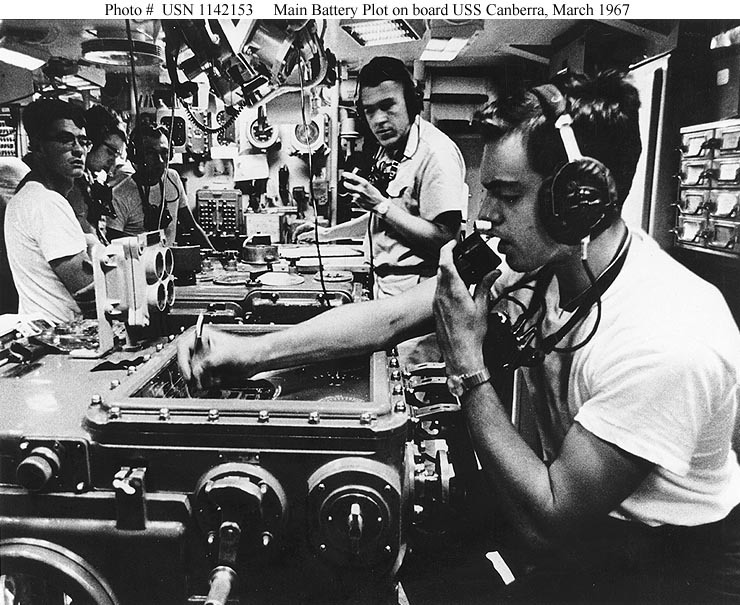 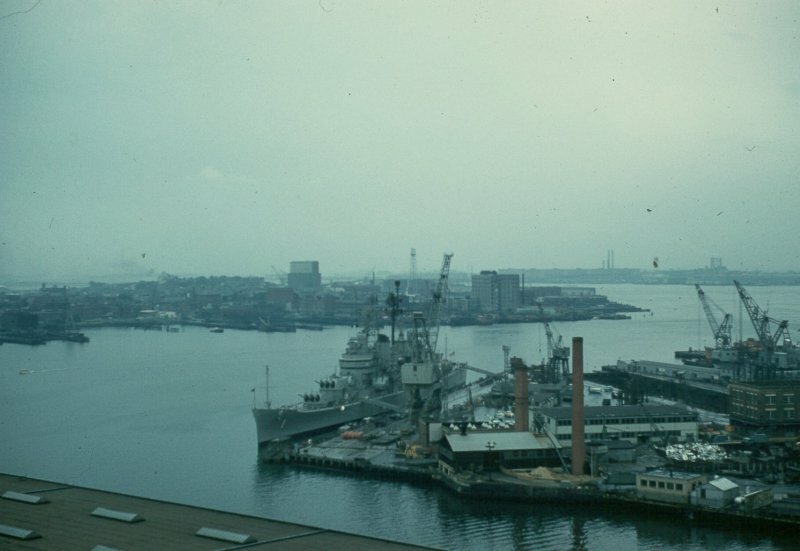 ↑Here is Fall River represented as of 1970, with the SPS-8 heightfinder radar replaced by the SPS-52 long-range 3D radar on top of her middle pole mast, and several early SatCom antennas. 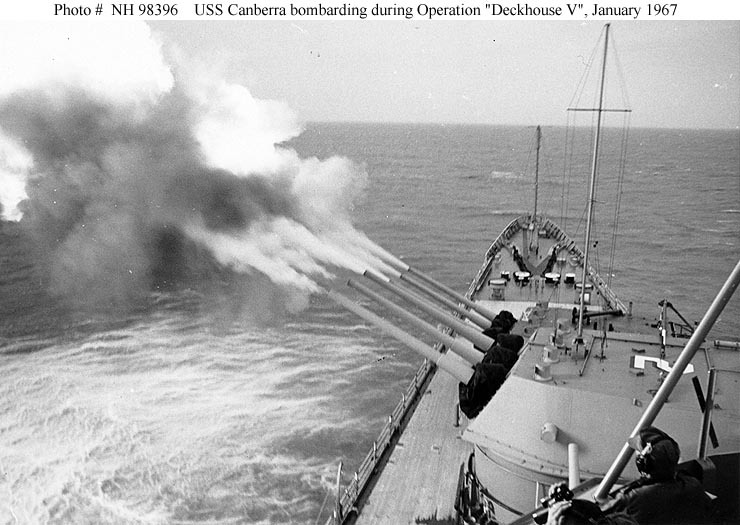 Image courtesy of Shipbucket. 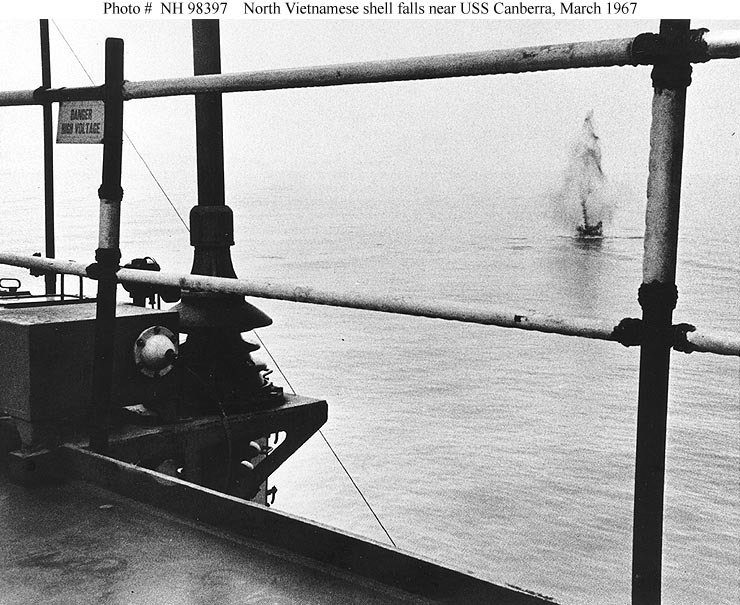 ◎Lebanon Jul-Sep 1958, Cuba Apr 1961, Vietnam Apr-Oct 1967 (1, 2), Apr-Sep 1968. 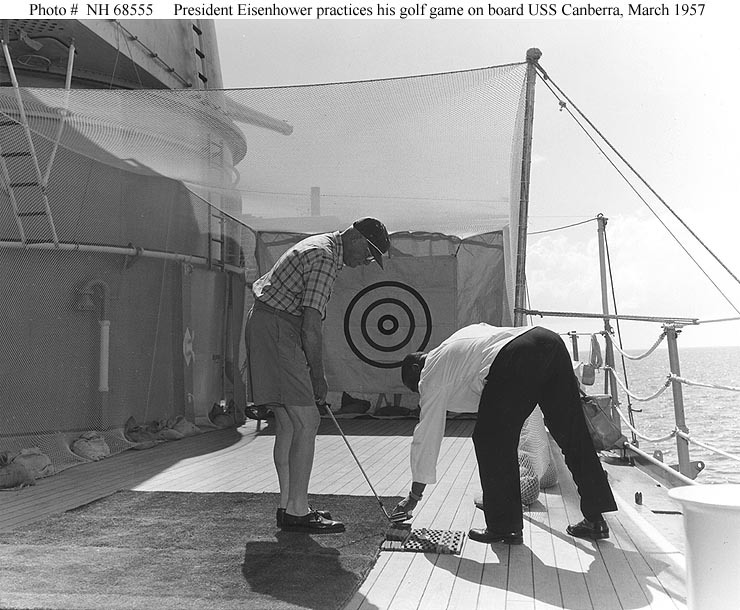 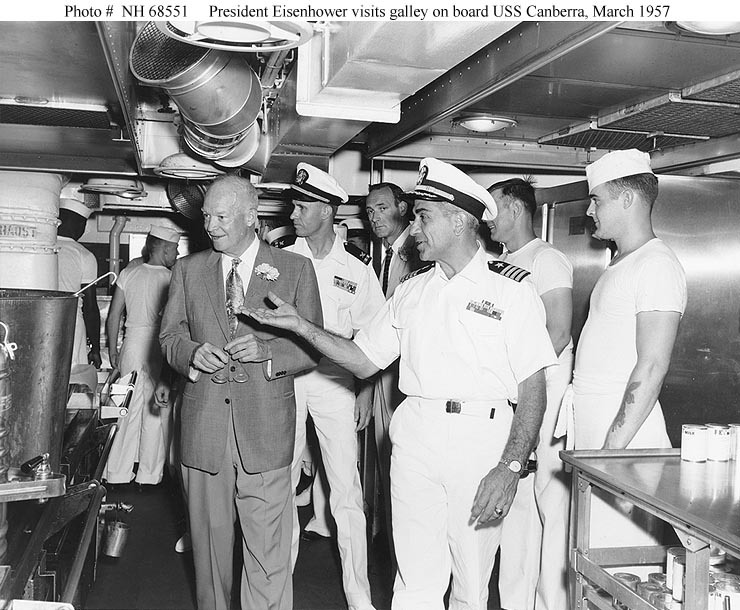 ◎Carried President Eisenhower to Bermuda conference, Mar 1957 (1, 2, 3). 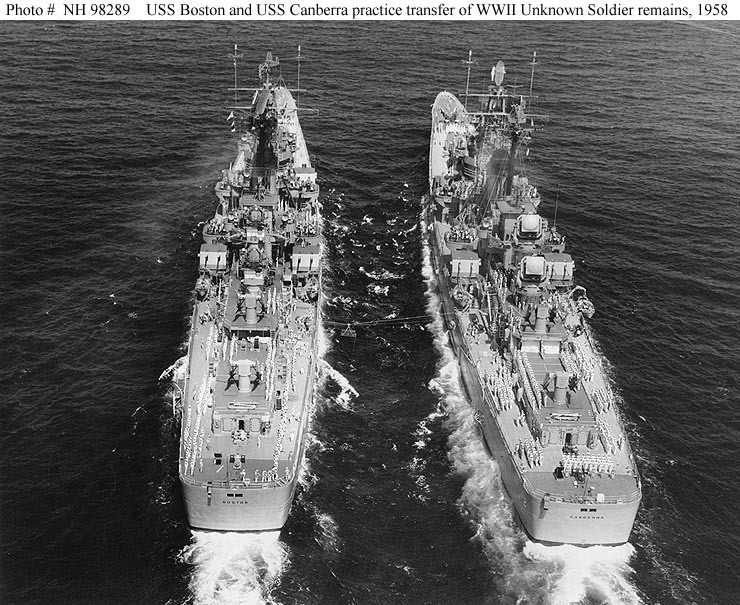 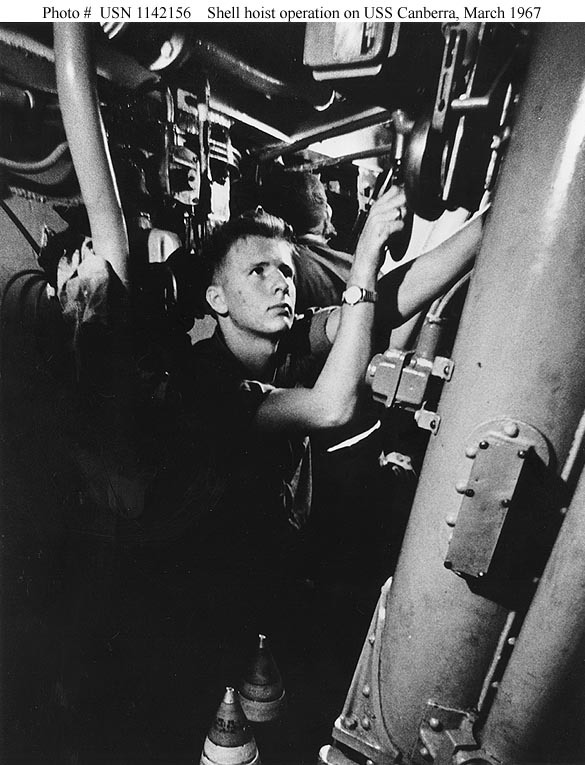 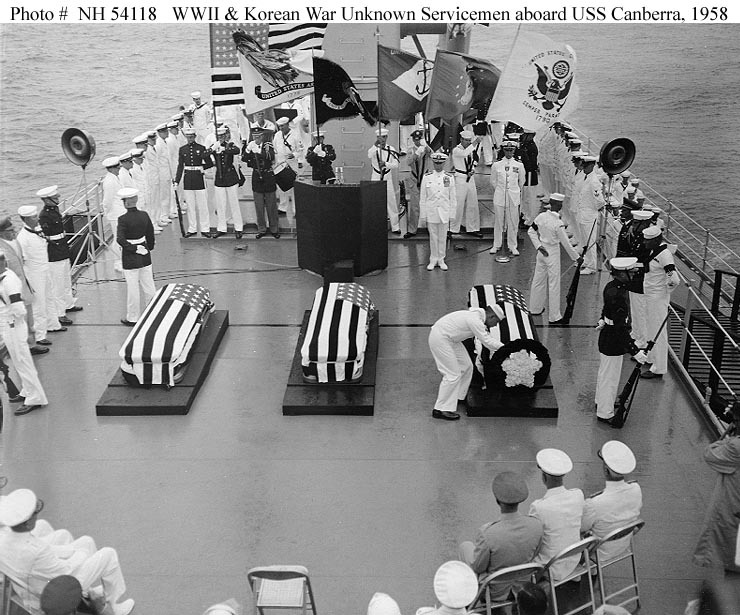 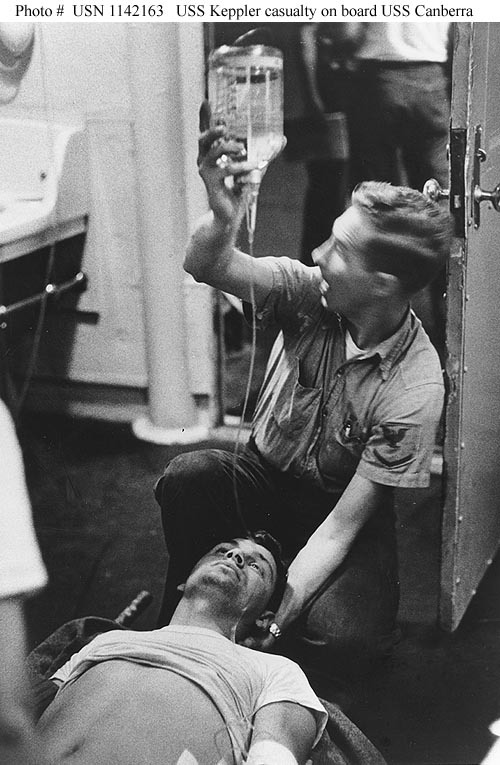 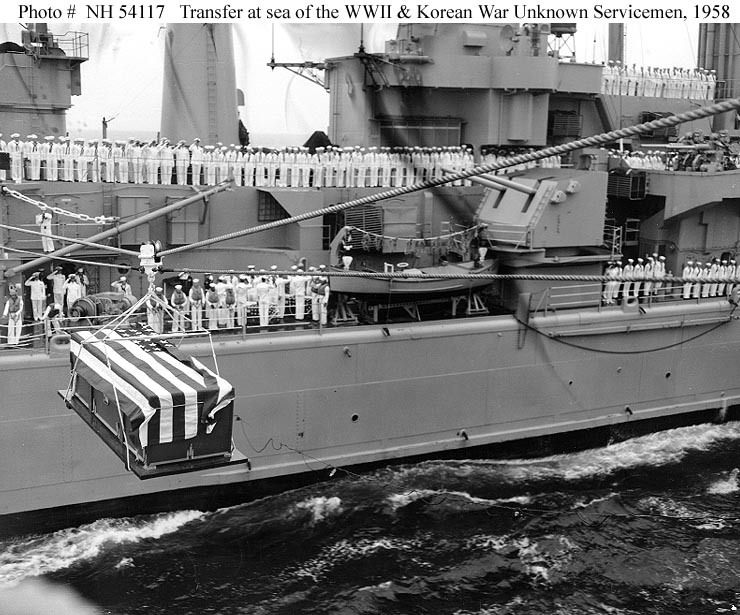 Ceremonial flagship for selection of the unknown servicemen of World War II and Korea, May 1958 (1, 2, 3). 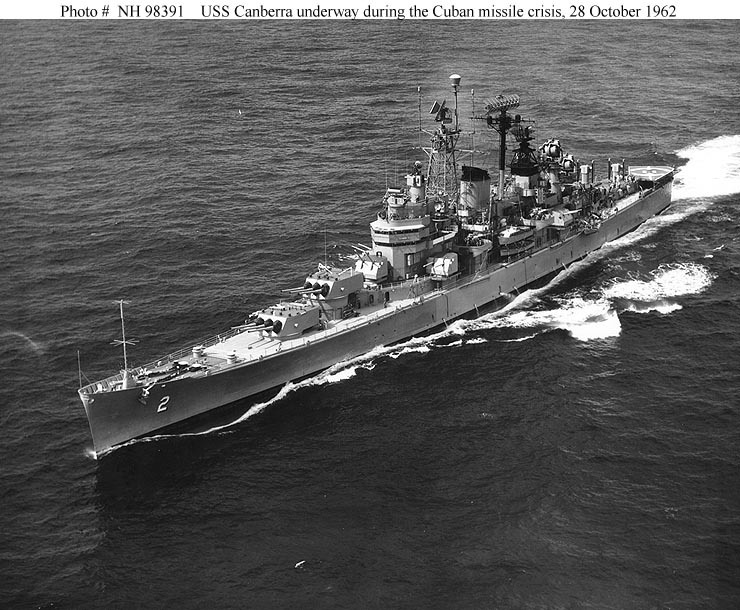 Lebanon Jul-Sep 1958, Cuba Oct-Nov 1961, Cuban missile crisis Oct-Nov 1962, Vietnam Feb-Jun 1965, Feb-May 1966, Dec 1966-Apr 1967 (1, 2, 3, 4, 5, 6, 7, 8, 9, 10, 11), Oct 1967-Apr 1968, Korea Jan-Mar 1968.